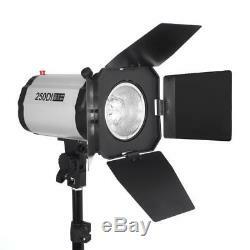 750W (3 x 250W) Photo Studio Flash Lighting Kit. 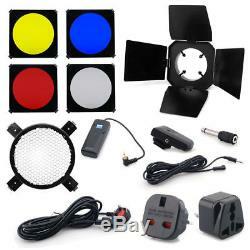 This is a complete package for setting up your own lighting system. 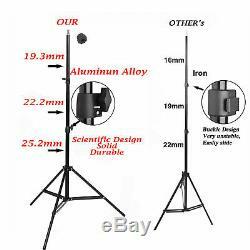 Our kit combines the strobes and 2 soft boxes with top quality light stands. 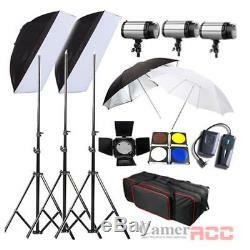 This is a great set designed to work with any digital or film camera system. With this setup you are ready for fashion shots, product shots, or pack it all up as a travel set for those weddings or location shots. 3x 250W Studio Flash Strobe Lights. Guide number (ISO100°Full, Power): 48. Flash Power Control: 1/8-1/1 stepless. Flash Triggering Method: Sync Cord, Slave, Test Button. Flash Duration: 1/2000 - 1/800s. Model Lamp: 75W G5.3. 2 × 50cm x 70cm Rectangular Soft Boxes. Size: 50 cm(W) x 70 cm(L). Silver Reflective mats with water bubble shapes. 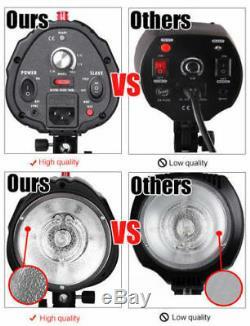 Diameter of Mount : 10cm / 3.9(only fit flash head diameter from 7 cm to 10 cm). 3 x Professional Studio Photo Light Stands. Maximum Loading Weight 2.5kg. 1 x Transmitter and 1x Receiver. Outdoor operation distance: >= 20 30m. One receiver can trigger 3 flash lights. 1 x Barn Door with Grid and 4 Colour Gels. Max Diameter of Mount:3.8 inch. Universal - fit any flash strobe moonlight (180W, 250W, 300W flash). Colour Gels: Blue, Red, Yellow, Translucent. 1 x 33 Studio Umbrella. Size: 33 inch / 84 cm diameter. 1 x Translucent snow white. Made of high quality Nylon. Steel frame for longer lasting. 1 x Silver Reflective Black(Out) / Silver (In). 3 x 250W Strobe Lights. 3 x 75W Modeling Bulbs. 3 x UK Plug (with a sync cable). 2 x 84cm(33) Umbrellas. 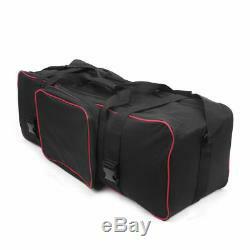 1 x Carry Bag for flash kit(72 x 25 x 25cm). The item "750W STUDIO Flash Lighting PHOTOGRAPHY STROBE LIGHT KIT 3 x 250W" is in sale since Friday, January 18, 2019.